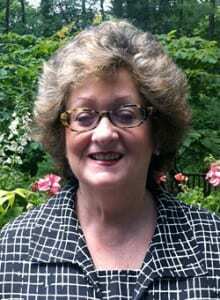 Sharyn Ann Lenhart MD, FAPA is a psychiatrist in an academic private practice in Concord, MA. Her special interests are in women’s mental health, psychological trauma, and sexual harassment and gender discrimination in the workplace. Dr. Lenhart holds a clinical academic appointment at Harvard Medical School and is a Senior Attending Psychiatrist at McLean Hospital/Massachusetts General where she has provided consultations, staff supervision, lectures, and teaching. She has also taught on the faculty at University of Massachusetts Medical School. In addition to her private practice, Dr Lenhart has acted as a consultant to police departments, community hospitals, Equal Employment Opportunity Commissions, Employee Health Services, the Massachusetts Board of Registration in Medicine, Medical Student Counseling Services and the television series, <i>ER</i>. A former inpatient psychiatry unit chief and Associate Dean for Faculty Affairs, she has served on numerous academic committees related to medical education, faculty development, and women in medicine and has given Grand Rounds and training sessions on gender equity to medical schools and medical societies throughout the U.S. She has published numerous books and articles related to women’s mental health, sexual harassment, and gender discrimination, including a special 1993 JAMWA issue on “Gender Equity in Medicine.” She has also testified as an expert witness in multiple cases related to this issue. These issues were a central focus of her AMWA presidency, as were her international outreach activities. Dr. Lenhart is the recipient of multiple awards, including the AMWA President’s Award, the IHAN/United Nations Woman of Achievement Citation, the Allegheny College Gold Citation, and the AMWA Community Service Award (for her public service women’s health programs). In 2002, she was one of three Massachusetts psychiatrists elected a Distinguished Fellow of the American Psychiatric Association. In her personal life, Dr. Lenhart enjoys sports, travel, theater, and music. She has been active in her local parent /teacher organization, community emergency medical service, Council on Aging, and the Colonial Figure Skating Club. She has also served as a chaperone for the US Figure Skating Association at national and international competitions. Dr. Lenhart lives in Concord, MA with her husband Lloyd Price M.D., a forensic psychiatrist, and has two daughters, Allison, an academic dean and Heather, an attorney.